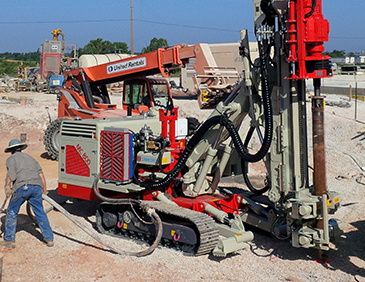 Hammer & Steel, Inc., sells and rents the Comacchio CH, MC, and MC-E Lines of drill rigs and drilling tools. The CH Line is the first Comacchio drilling rig for large diameter drilling. The CH 450 is self-erecting and can be transported in one piece with the kelly mounted. 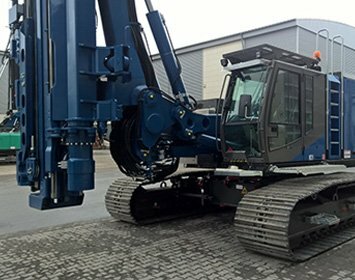 The MC Line is a group of multi-use rigid and articulated hydraulic crawler drill rigs suitable for several types of specialized works, such as ground consolidation, anchor drilling, geotechnical works, water well drilling and geothermal energy. 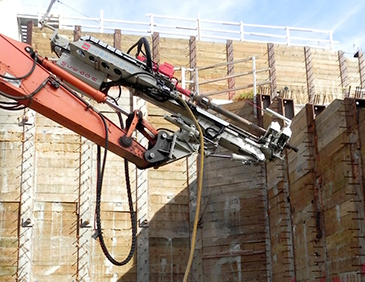 The MC-E Line is a group of multi-use drilling tools that attach to the end of a hydraulic excavator. These attachments are mainly used for ground improvement works and anchor drilling. MC Line Drilling RigsLearn more about the Comacchio MC Line Drilling Rigs. CPH 1.3 RodLearn more about the Comacchio CPH 1.3 Rod.